I have written “life changes” in the subject line of about 20 emails in the last week. It is a statement and a description. It is what happens, if we are lucky and brave enough to face it. The end of a relationship, a change in career, a child, a marriage, a death, political upheaval, natural disasters…everything. Change is the very essence of life. Yet there is resistance. Each step we take is met by a hesitation and perhaps even a half step back. My relationship of seven years is now over. I am not angry. Some part of me is grateful for this opportunity. I am in some pain, but that will pass. What fills me now more than anything is fear. I am groundless and struggling to regain my footing. With each passing moment I fear that I will trip. It is this fear that could prevent me from taking a big enough step forward. During such periods, and even during times of relative stasis, there is a tendency to cling to familiar things, fearing some inevitable change. I must have this kind of food and drive that kind of car. I will take 2 ½ sugars in my coffee thank you very much, and not a grain more. I only watch serious dramas on television and resent anyone who does not share my political opinion. This is not me. It is all of us. We fear the unknown. How do I…how do we…accept that life presents us with challenges, and that we are indeed strong enough to embrace them? The other night I spoke with an old friend. We had not talked in over seven years – the length of my relationship. We had written emails here and there and of course connected, however imperfectly, over everyone’s favorite and most hated social networking site, but we had not talked. Voice to voice. Person to person. Heart to heart. When we did, it opened up something in the very base of my being. It gave me courage. We are two people who have moved through very different lives, reconnecting and bringing our strengths and our weaknesses to a moment of deep trust and sharing. We did not talk about television or the latest political battles. We talked about change. The stimulation and excitement that can come from change is a large part of why I travel. When I am away, whether it is Kenya, Paris or upstate New York, I find myself in a different state of mind than when I am home. I am more open, more flexible, more capable of dealing with unexpected events, with change in general. I can more easily let go of that tendency to have expectations at all. I want that feeling in my daily life. Curse the anxiety and the neurosis. I want to be fearless. When my students express their frustration with the uncertainties of science, with the ever-changing nature of discovery and falsifiability, I tell them, that’s part of the fun. It’s true. I believe that. It is the beauty of how much we have yet to discover that makes science compelling. It is why I have pursued it as an anthropologist, asking questions that are never truly answerable. Yes, it is challenging. Yes, it is often frustrating. But there is always something new and wonderful to explore. When we discover that thing, the one that throws our old ideas of how things work out of balance, we must adjust. And we do, but it takes time. Change happens. From an objective point of view, facing change in our personal lives should not be more complicated than facing it in science or when traveling or when we fail to find our favorite food on the menu at a restaurant. Yet we push and we pull and we struggle to maintain the status quo. Our emotions reign supreme and we often take that half step back. Perhaps I can only speak for myself, but I have a goal. With each new day I will take a tiny step forward. It might be 15 minutes of meditation, taking a yoga class or calling old friends. The thing I do is less important than the significance it holds in terms of moving in a new direction. Somehow I will find that fearlessness. For those who know me personally, I hope that you will remind me of this if I start to step back. I did not see much of her, but Johannesburg (“Jozi”) is a huge city, peppered with steep hills, lovely gardens and a true urban feel. 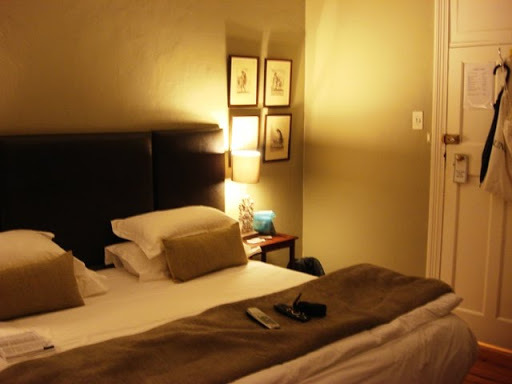 We stayed at a cozy B&B in a suburb called Melville. 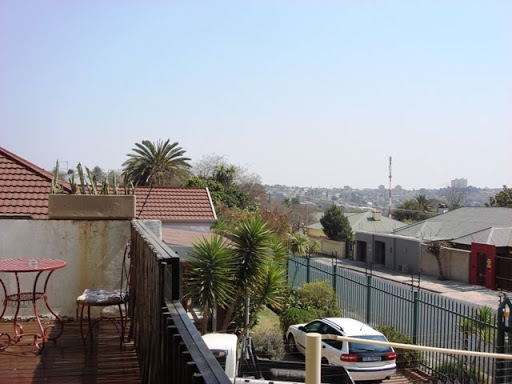 Melville is something like a mini East-West Village hybrid set against a hilly, African landscape with walled single-story homes lining the residential streets rather than multi-storied apartments. Good food, loungy as well as grungy bars, vintage clothing shops, tasty brunch and gay friendly attitudes abound. It is distinct from Durban’s more conservative vibe. Mixed race couples walk down the street past used bookstores and coffee shops. It felt very much like home. 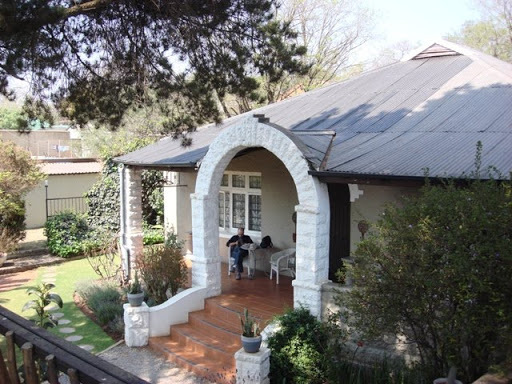 Our B&B was the Ginnegaap Guesthouse. That is pronounced “hinneh-hahp” but the ‘h’ sound is made in the back of your throat. After being in the field, we felt extremely pampered. It was luxurious. There was chocolate on the pillows, cable tv, and a king sized bed. Breakfast was made to order and the omelette I ate that first morning was absolutely perfect. We only had two full days in Jozi so we did not get to do much. We had two priorities apart from seeing friends and colleagues of mine: see some of the fossil cave sites in the Cradle of Humankind, and visit Soweto. We managed to do one of the two. A friend of mine picked us up our first morning and drove us out to the Cradle to see caves. We visited Sterkfontein first, probably the most touristy of the caves. They have a small exhibit before the tour. It seemed to have been recently done and elegantly so to boot. The exhibit prepped us for the tour providing the scientific backdrop to what we were about to see in the caves. Sterkfontein is an enormous cave system, considerably larger than I’d imagined over the years of reading about the place. It is no Mammoth Cave, but it is big. Our guide provided us with sound bites about the history of excavations in the cave and other odds and ends, but in truth the tour left a bit to be desired. The caves were fantastic, but we would have liked more stories and details about the science of the hominin fossils found there, who found them and when and so forth. Before we exited the caves, my friend Chris met us near the exit and we snuck away, crawling out through an opening in the cave that was not, strictly speaking, open to the public. Apart from almost tearing my jeans on the fence that we had to scale, it was fun. She then took us to Swartkrans, just down the road from Sterkfontein. Swartkrans is smaller and more romantic than Sterkfontein. 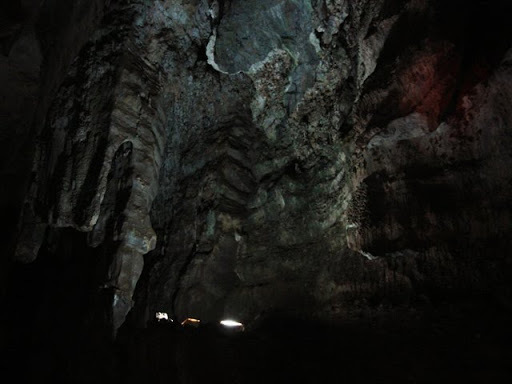 Maybe it was the stories Chris told us, the history that I already knew or the fact that it is not open for tourists and we were getting a private viewing, but Swartkrans had a magic to it that Sterkfontein seemed to lack. 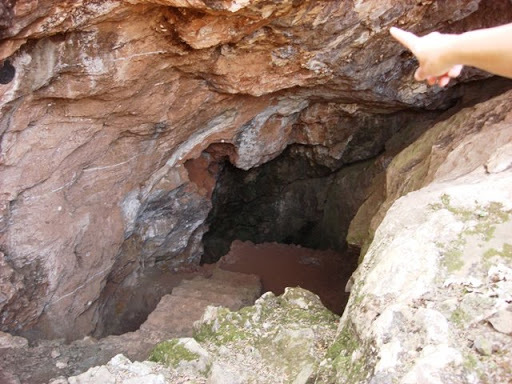 For the last stop on our private tour, Chris took us to her site, Cooper’s Cave. It is quite different from the others in that it doesn’t feel much like a cave just yet. The excavations are going on at a level that is a bit more at the surface and there are not yet open caverns requiring ladders to enter. But Cooper’s was more exciting than the others because there are many fossils. One can hardly look at the site without spotting multiple fossil bones. I think I might want to go and work a season with her one of these days. After our tours she took us to a lunch place where they specialize in pies. These aren’t pies like apple or pumpkin, nor are they even like shepard’s pie. They are more like hot pockets but considerably better. Most are meat pies. I had a chicken curry pie with salad and a ginger beer. A perfect end to the afternoon. That evening we were on our own and went to a traditional sushi restaurant followed up by a local bar where we had an interesting conversation with the bartender/dj, whose name was Wellington. He told us what he thought about the political situation in South Africa and Zimbabwe. We’d been hoping to make some connections like that and we managed to get a little taste of it. Our task for Sunday was to take a tour of Soweto, the famous township outside of Jozi. We’d arranged a tour with a company recommended by the Lonely Planet guidebook, but somehow it never panned out. It was rather confusing, but it seems that the tour guide was being given directions to our location by a dispatcher and the directions were wrong. He never found us. Almost three hours later, we canceled and went to a nice little restaurant where they served hot-off-the-grill braai. A braai is a barbeque. Yes, I ate a lot of mammals on this trip, something I do not ordinarily do. One of those “when in Rome” things. The food was good, the waiter was kind, and the people at the neighboring table were entertaining. Plus, there was a cat. We ate our food, read the newspaper and soaked up the atmosphere. Ciprian left the following morning to head back to Durban. I was in Jozi all day before my evening flight. I went to the University of the Witswatersrand (“Wits”), met with my advisor and enjoyed the Wits Origins Centre. 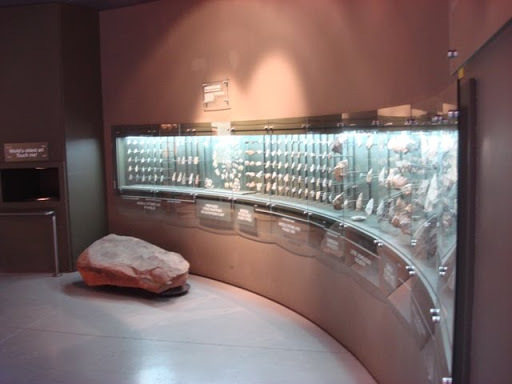 The center is fairly new and has exhibits on early humans as well as on local people who produced remarkable cave paintings in the more recent past. The dim lighting of the museum provided it with a haunting air, and I was startled at one point when I turned a corner and saw an eland, stuffed of course, but real and in a dying position, with its head on the ground and turned to the side, with its rump still up and its forelegs collapsing underneath. It was graceful, but sad and somehow incredibly profound. The exhibit was focused on a group of people for whom the eland was a vital and even mythical animal. 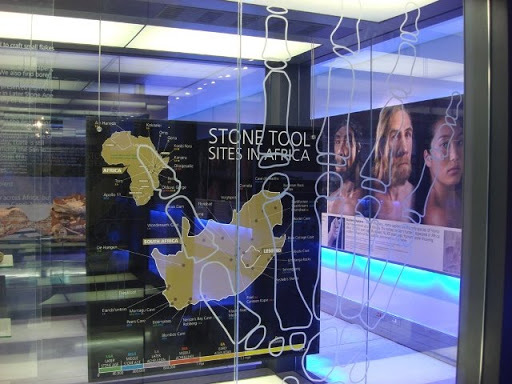 I finished my Jozi experience with a surprise private viewing of some hominin fossils. It was quite a treat. I was then shuffled off to my B&B to get my luggage and catch the taxi that had been arranged for me. On my drive out of the city I saw parts of Central Johannesburg, much of which was very run down, even depressed. 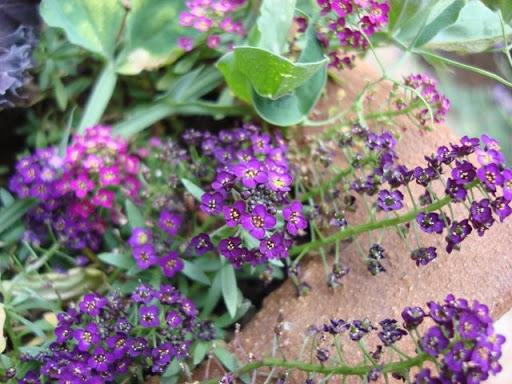 Other areas were buzzing with life. I am still struggling with my opinion of Jozi and of Durban and South Africa in general. Maybe I should live there for awhile in order to figure out what I think. Then again, maybe that’s not necessary. I only know that my feelings and thoughts are complex and often evade articulation. I cannot help but compare South Africa with other African countries that I know, and that may be a mistake. What I do know is that South Africa is beautiful, has good, hard-working people and certainly has the capacity to build itself into a great nation. But there are so many uncertainties and challenges, so many wrongs that must be righted, and so often a dearth of hope, that I sometimes fear for its future. I will go back at some point. Perhaps there will be something or someone new to inspire new hope.